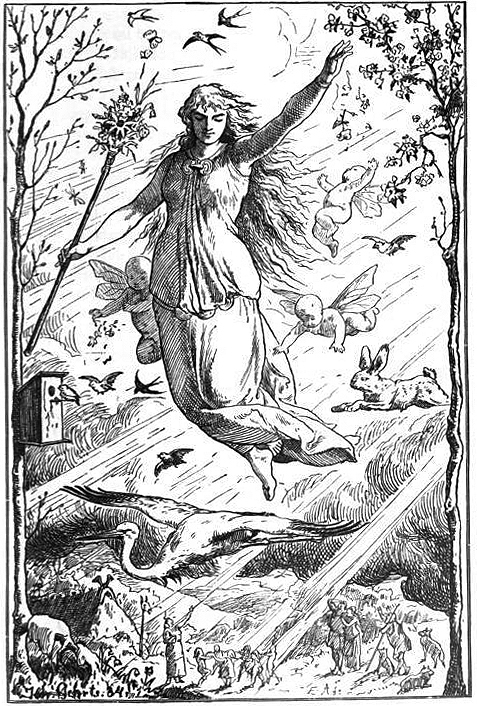 Ēostre or Ostara (Old English: Ēastre, Northumbrian dialect Ēostre; Old High German: *Ôstara) is a Germanic divinity who, by way of the Germanic month bearing her name (Northumbrian: Ēosturmōnaþ; West Saxon:Ēastermōnaþ; Old High German: Ôstarmânoth), is the namesake of the festival of Easter. Ostara festivals mark the Spring Equinox, traditionally the day of equilibrium, neither harsh winter or the merciless summer, and is a time of childish wonder. Painted eggs, baskets of flowers and the like are generally used to decorate the house. It is common to use this time to free yourself from things which hinder progress. As a day of equilibrium, it is a good time to perform self banishings and also perform workings to gain things we have lost, or to gain qualities we wish to have. The second of the three spring festivals, this Sabbat occurs in mid March when day and night are of equal length. This festival is also of fertility where seeds are blessed for planting soon after. Traditional colors for this holiday are light green, lemon yellow and pale pink. 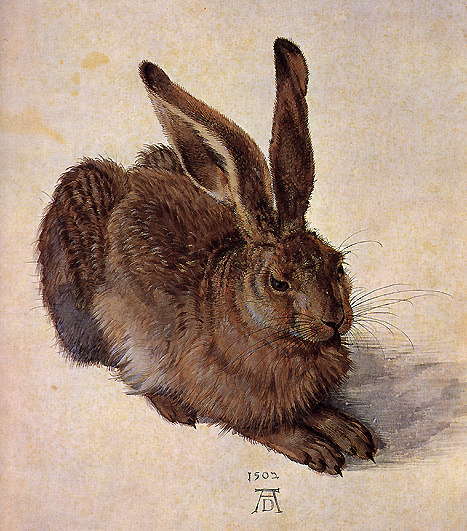 This entry was posted in Sabbat and tagged balance, equilibrium, Equinox, hare, legend, lore, Ostara, Spring. Bookmark the permalink.